After the rather large reveal today by Activision and Infinity Ward regarding the Call of Duty: Ghosts multiplayer, the special editions of the game were announced. 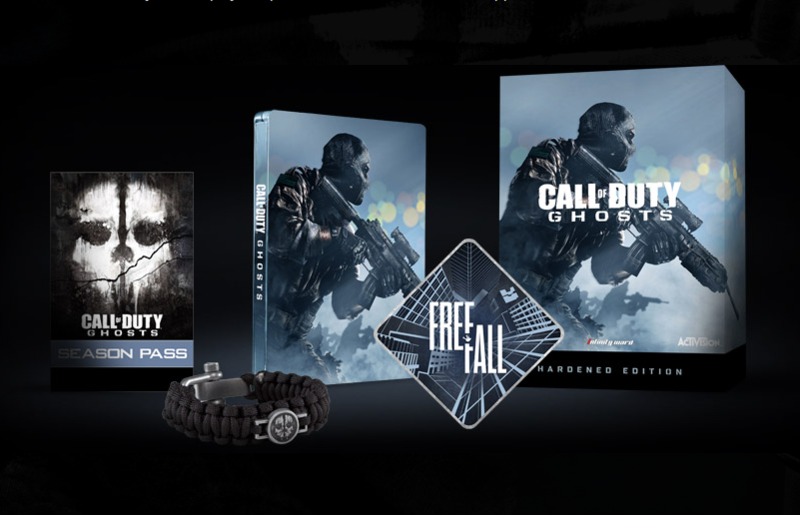 Fans will be able to purchase a Hardened and Prestige edition of the game, each containing various bonuses both physical and digital. While you weren’t able to pre-order either special edition earlier today, you can now lock in your pre-orders for either edition thanks to Amazon. Not sure what each edition includes? We have you covered below. What edition of the game are you planning to purchase? What do you think about the multiplayer reveal? Be sure to let us know what you think by leaving us a comment below, or continue the discussion on Facebook and Twitter.